The G20kx is a solid ball head but very compact in size. 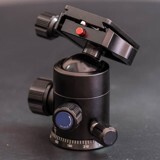 It has 3 knobs so that you can adjust the tensions of the ball head, loosing the tension level and a third knob that offers the ability to rotate your head without having to loosen the ball giving you the ability to do panoramic shots. 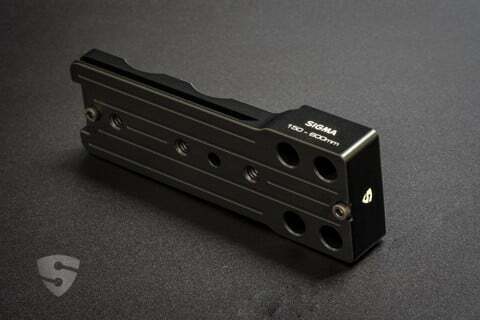 It comes with a Quick Release plate for fast removal and has a level. The SIRUI G Series Ball Head's compact size, high load capacity, unique internal locking mechanism - capable of holding up to 20 kg (44 lb.) 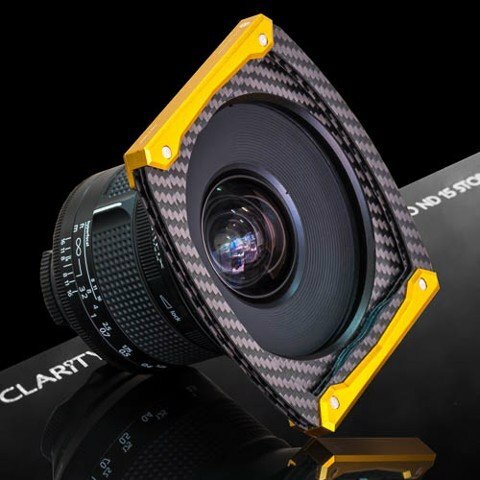 - and unbeatable price, have made them extremely desirable to photographers around the world. 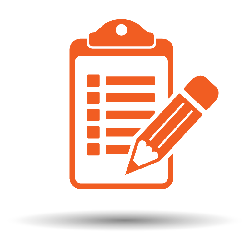 SIRUI is always looking for ways to make a great product even greater. 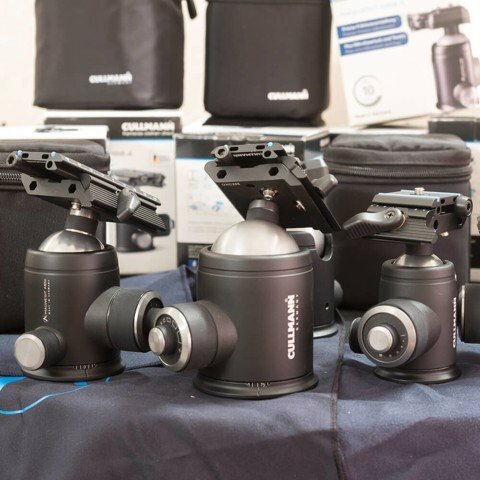 That's why we introduced the new SIRUI G-10X and G-20X ball heads.While keeping all of the outstanding benefits of the previous SIRUI G-Series models (separate locking knobs for panning, friction control and main lock, secondary safety lock on the quick release platform, special anodized abrasion resistant surface, etc. ), SIRUI has added some valuable features to the new ball heads. 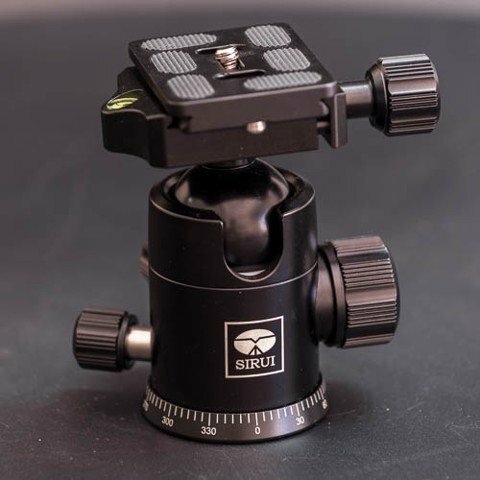 The SIRUI GX Series now has 2 bubble levels to help you quickly align your camera system. 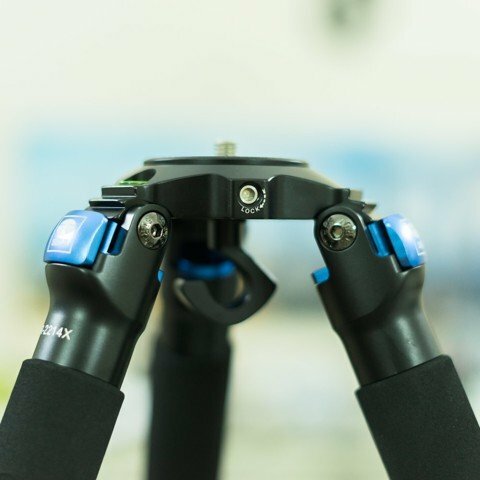 In addition to the bubble level on top of the Arca-compatible Quick Release platform, there is also a useful second bubble level on the locking knob of the platform. 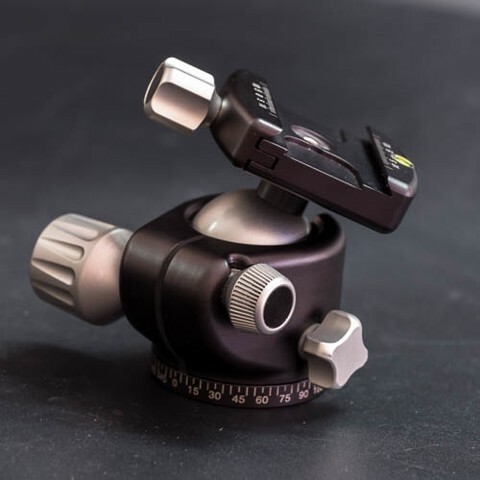 That means you can critically level your camera even if your camera is in a vertical position!For fast, precise panorama and stitching control, the degree scale on the base of the ball head is completely visible. Moving in 15° increments couldn't be easier! 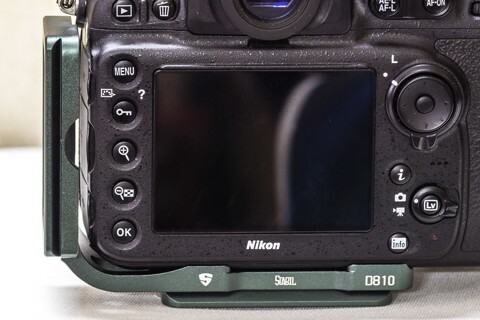 And the included SIRUI Quick Release plate has a place to attach your camera strap, without the need to remove the quick release plate from your camera. Very convenient! 1. 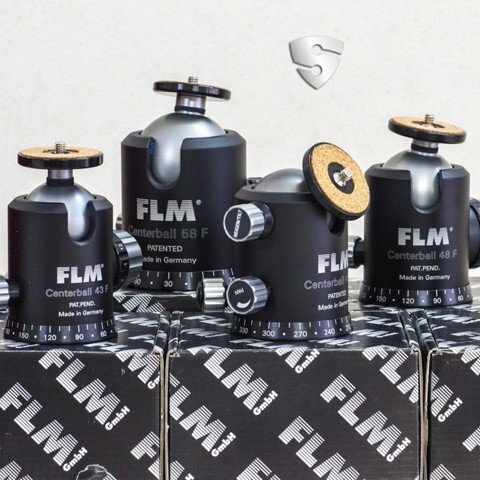 Separate adjustment knobs for panning, friction control and locking for maximum control and flexibility. 2. Two bubble levels (one on top and one on the clamp locking knob) for fast horizontal and vertical alignment. 3. SIRUI's unique locking mechanism provides unequaled locking force even with loads up to 20kg (44.1lb.)! 4. Rugged metal locking knob offers a wear-resistant surface and a solid grip. 5. Precision built to provide smooth, vibration-free movement. 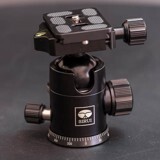 Included in the box: Ball Head, Arca-compatible SIRUI Quick Release plate, soft case, instruction manual and warranty card.